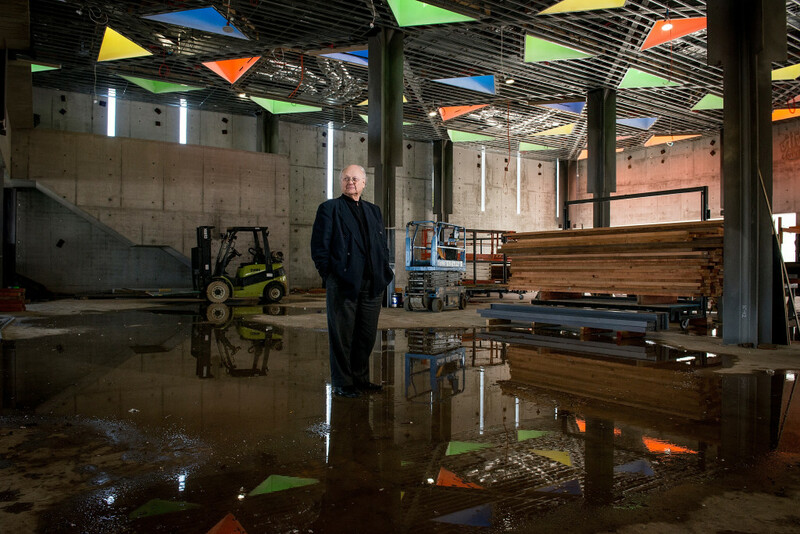 Famously enigmatic, renowned architect Glenn Murcutt has, for the majority of his career, run a solo practice. He has no staff and no email. He designs with pencil on paper, insisting good design comes from the hand, not the computer. Everything about Murcutt eschews all publicity, and when he is in the headlines, he takes a back seat, preferring the work to speak for itself. Despite this, for a number of years, he has allowed local filmmaker Catherine Hunter to follow his moves, immortalising his work and life for use on the big screen. 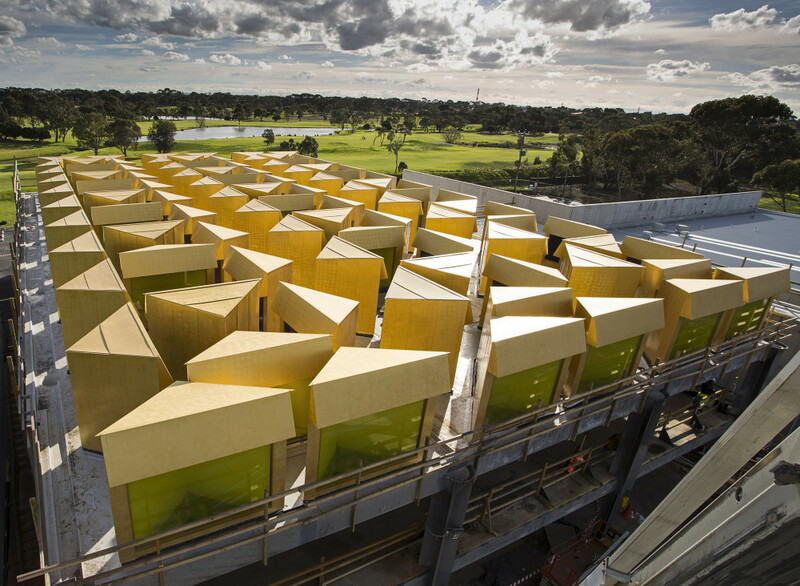 The resulting film, Glenn Murcutt: Spirit of Place, is an intimate account of the architect’s life, which is interwoven with the profound story behind his latest and most challenging project – a mosque in Melbourne’s Newport. 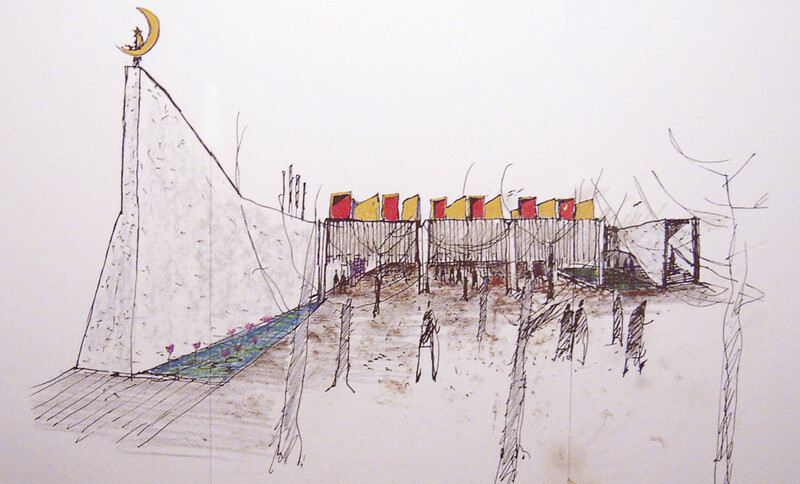 Murcutt’s sketch of the mosque design. “The most interesting architecture films can’t just be about architecture, but must give you a sense of the whole gamble that can be involved in a project,” Hunter says. So naturally, when she heard about the mosque, which was brought together and fully funded by the local community, Hunter knew it would be a fascinating project to follow. “The Newport community first heard about Glenn because he was a judge of the Aga Khan Award for Architecture, and they thought, “Oh this must be an architect who isn’t anti-Muslim”, and of course he isn’t, but that’s how it began,” Hunter continues. “So, alongside the architectural process, I want this film to help people see that there is nothing threatening about building a mosque on your street; it can happen and it can be an amazing thing. I think the story of the project and Glenn’s work with the community just shows what architecture can do in terms of breaking down barriers,” she says. The roof of the mosque. Photo by Tobias Titz. Newport’s mosque is a contemporary reinvention of classic mosque architecture, selected by the region’s Islamic community as a representation of their assimilation to, and appreciation of, Australian culture. Spirit of Place follows Murcutt’s immersion into the design, build, and people associated with the project – which the architect completely resigns heart and soul to – and the relationship he builds with the Islamic community. For architect and non-architect alike, Murcutt and his work ethic is beyond inspiring, and it is clear to see why he is as revered as he is. Parallel to the story of the mosque, the film tracks Murcutt’s life, from his youth spent in Papua New Guinea, to the house his father designed and built in collaboration with Glenn and his brother, through to current day. Old footage, interviews with the architect himself, as well as his family and friends, provide an honest interpretation of exactly who the man is – a man with a fascinating, and at times heartbreaking, life story. Murcutt inside the partially-completed mosque. Photo by Jesse Marlow. 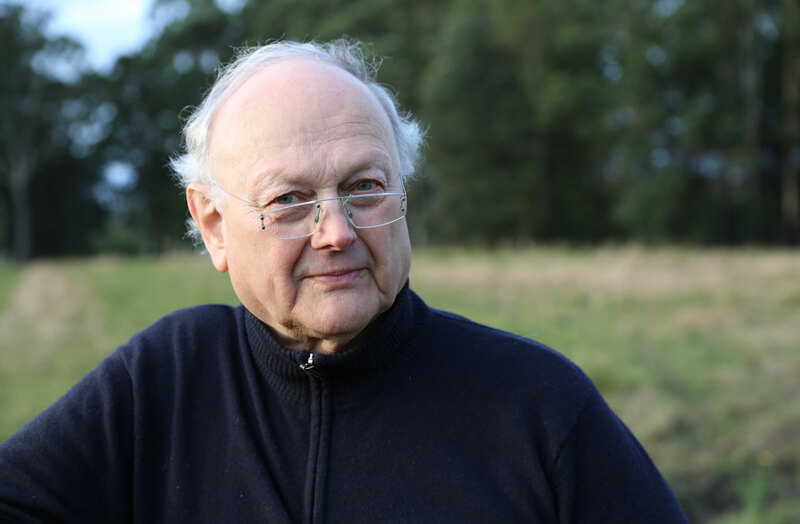 A preview screening of Glenn Murcutt: Spirit of Place will be held on Friday, December 2, at Tusculum, NSW. A Q&A will follow the screening, with Glenn Murcutt in conversation with Helen Lochhead and Richard Leplastrier. For more information and to purchase tickets, click here. The film will also screen on ABC TV on Tuesday, December 6 at 9.30pm AEST. Lead image by Bruce Inglis.